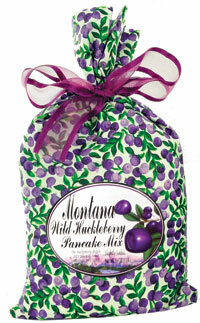 Heat up the griddle for our wild huckleberry pancake mix. Make hearty delicious pancakes for a fully satisfying breakfast. An easy to make top seller. Beautiffuly package in a colorful cloth bag. Available also in blueberry.